I'm having this weekday blues and wanted to have some fresh air "somewhere", so i texted my friends if they could accompany me on a weekend getaway...Since their schedules and budgets are tight, its kind of difficult for them to commit - and i understand... Gladly, Alex agreed to go with me but could only spare sunday, then its no longer a weekend getaway but just Sunday getaway- nonetheless, im happy i got company! 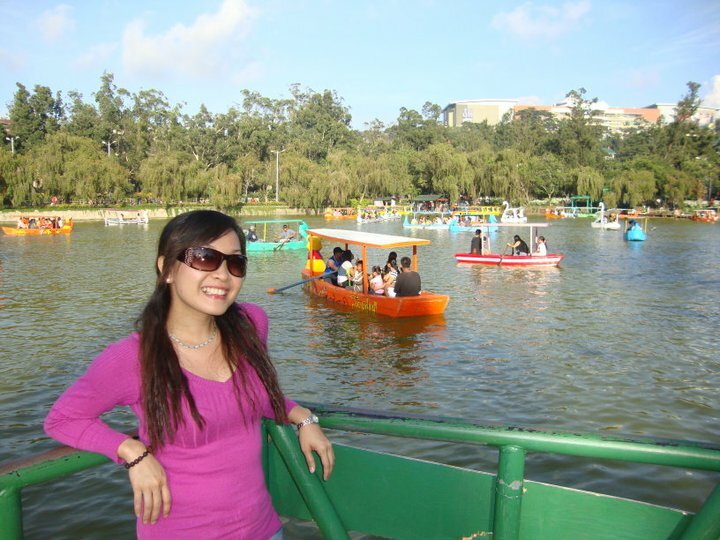 So,after 7 years, im going back to the country's Summer Capital - BAGUIO! This is the first time I've been in a Victory liner deluxe bus and I must say that it is quite spacious and comfortable. There's a seat assignment, a stewardess on the deck, free bottle of water, CR (which is the reason I chose to try deluxe hehe) and to my delight - WiFi! Well, I think this is gonna be a nice ride! My friend and I chatted along the way while eating his "baon" (he has packed some bread & chips). Then since we knew there's wifi, we tried it. Uh-uh, i cannot connect, i jokingly told him that access might be limited to only a few persons...he then disconnected his phone, wah-lah - im connected! (See i told you! haha) But the connection is not that good...We decided to have some sleep as we need strength to tour the city later. 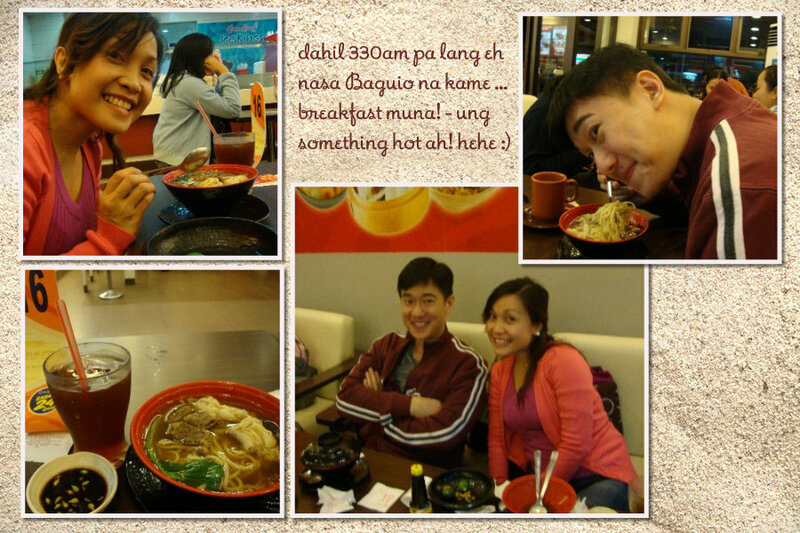 We we're both surprised to arrived in Baguio at half past 3 in the morning - gosh, its sooo early! The bigggest factor of the fast travel - SCTEX. What is SCTEX? The Subic-Clark-Tarlac Expressway (SCTEX) is the country’s longest expressway at 93.77 kilometers.Its southern terminus is at the Subic Bay Freeport Zone in Zambales, it passes through the interchange with the North Luzon Expressway near the Clark Special Economic Zone in Angeles City, and its northern terminus is at Brgy. Amucao in Tarlac City, Tarlac. The travel time from Manila to Tarlac via NLEx and the SCTEx would only take 1 Hour and 25 Minutes. Thanks to that new expressway...but what are we gonna do this early morning? First since, we're still at the bus terminal, we decided to buy tickets back to Manila for that same night. Unfortunately, deluxe tickets are already sold out. Well, we'll have to just take the ordinary aircon bus then. Ok,now that the tickets are secured, let's hit the road! 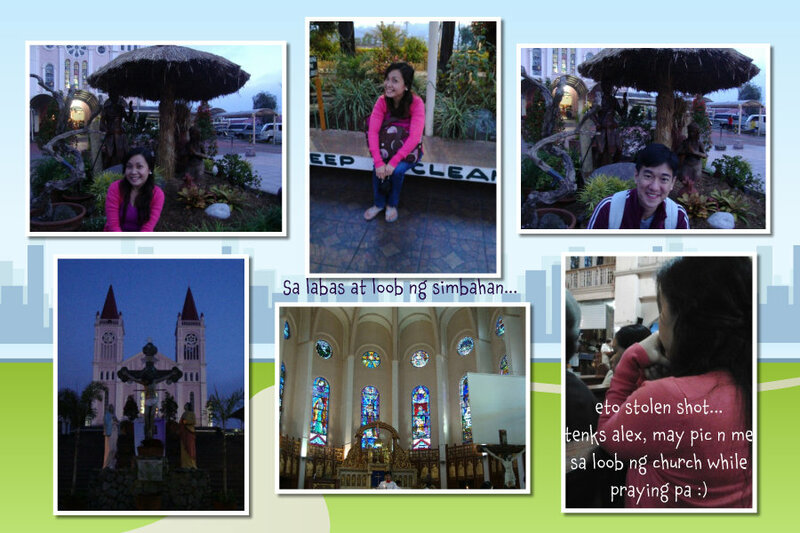 My first priority when I get to Baguio is to attend a mass at the Baguio Cathedral, so we went to the church first. 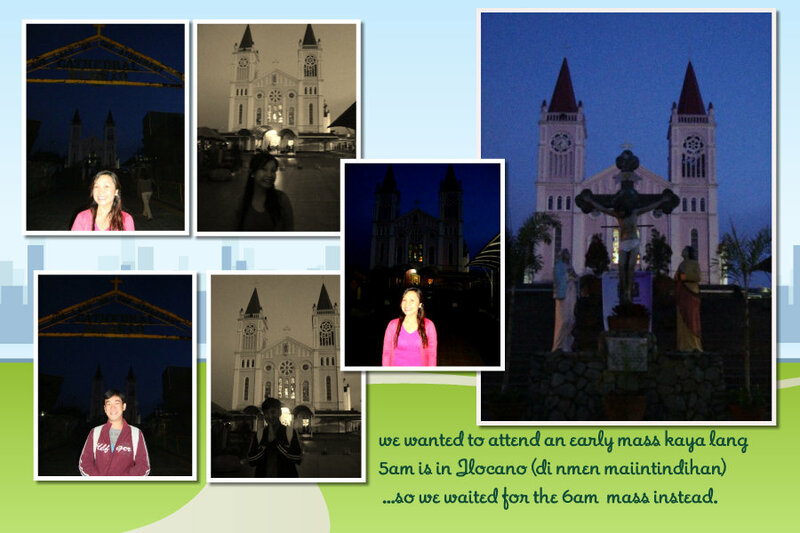 We checked the scheduled mass and the English Mass is scheduled at 6am. Well, it's cold and we're a bit hungry anyway, so we looked for a place selling hot food - well, good thing Chowking is already opening the time we arrived at Session road. So, hot noodles, here we come! 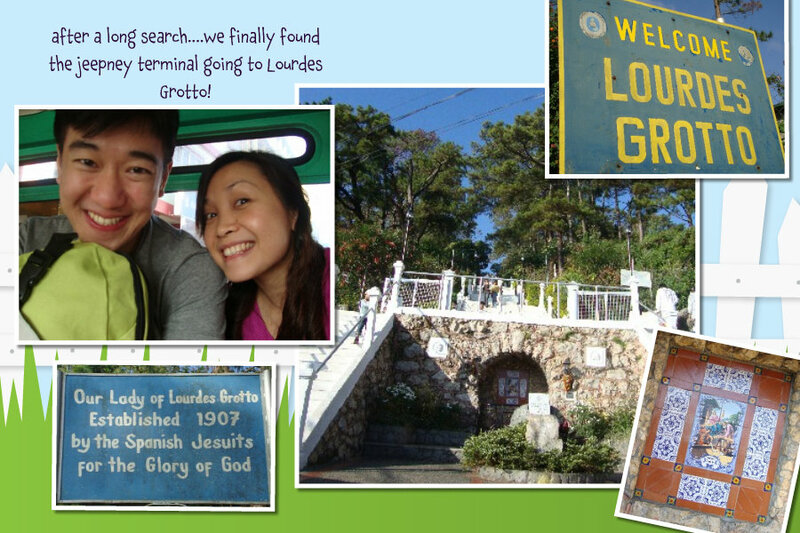 After that, we went to look for the jeepney terminal going to Lourdes Grotto ( the fastfood crew's instruction is for us to find the 3rd jeepney terminal - where the h_ _l is that?! haha) Well, after a long walk here and there, we finally found it! Gosh, why is it that the jeepney here have high steps - not comfortable for the not-so-long-legged me?! 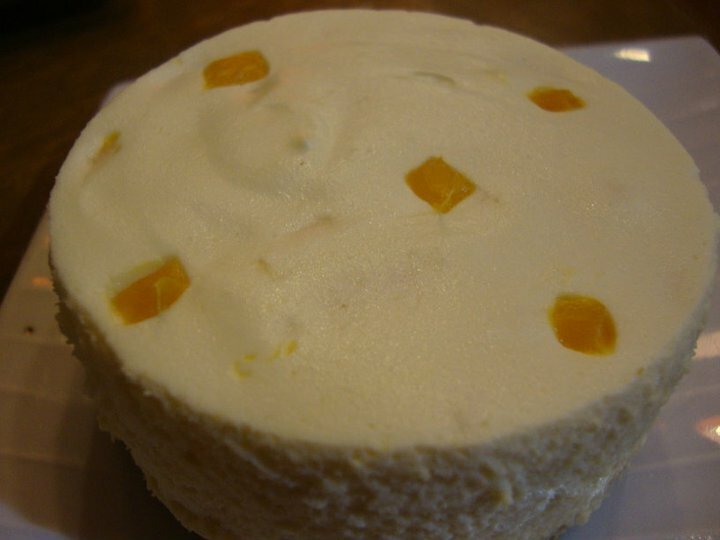 :) By the way, fare is Php 8.50 (minimun fare there). Earlier, we declined 2 "taho"(soy/beancurd) vendors who kept asking us to try Strawberry Taho which they said can only be found in there....so we decided that if we happen to see another vendor then we will try it. And there's one right beside us, so we tried it! What does it looks like? 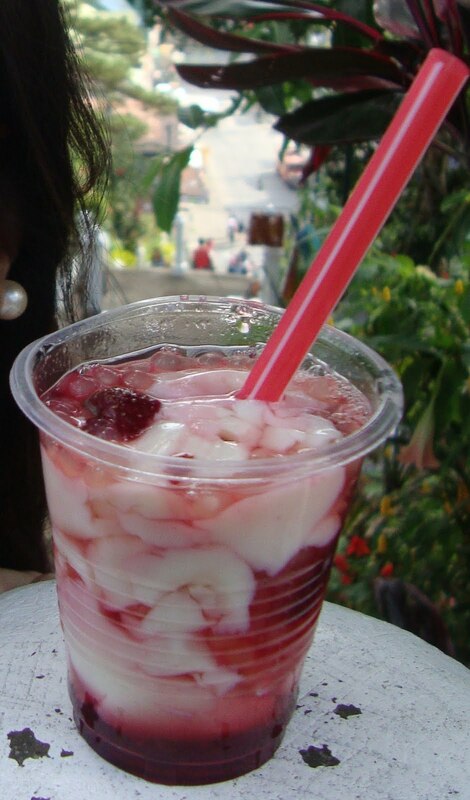 - Like a regular taho, except that the syrup is red & there's strawberry bits. How does it tastes? 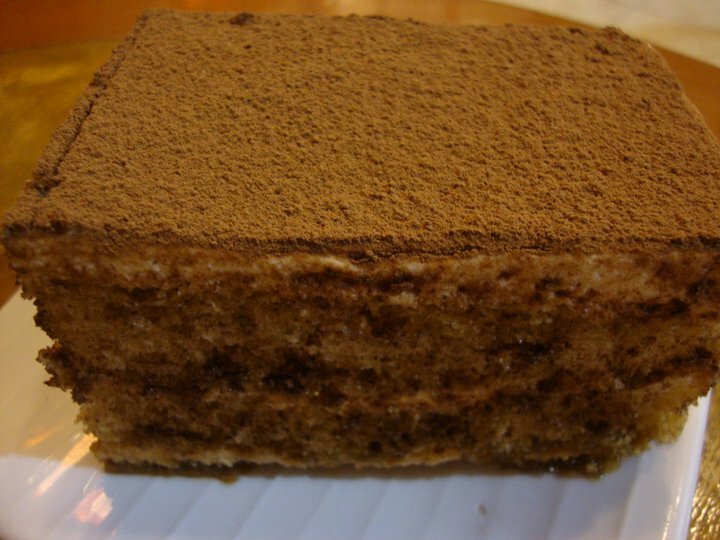 - Sweet! Its like, putting strawberry syrup & strawberry jam on beancurd with sago- well, i think, that's what they did. 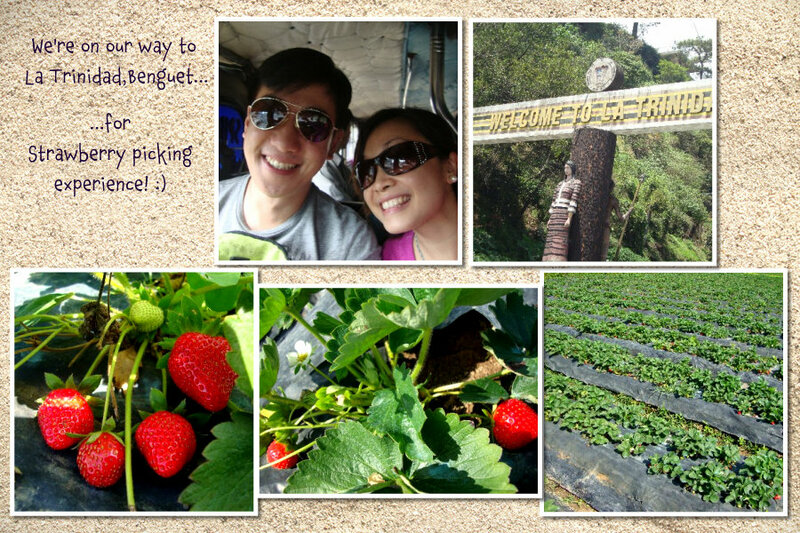 After that, we're off to Benguet for some strawberry picking! Yey! I Haven't done it before. Well, first we need to look for the jeepney terminal going to Benguet, its near their City Hall and the fare is Php13.25 (i think, coz the driver asked for Php26.50 for the 2 of us:). I will never sit in front of the jeepney there - why? 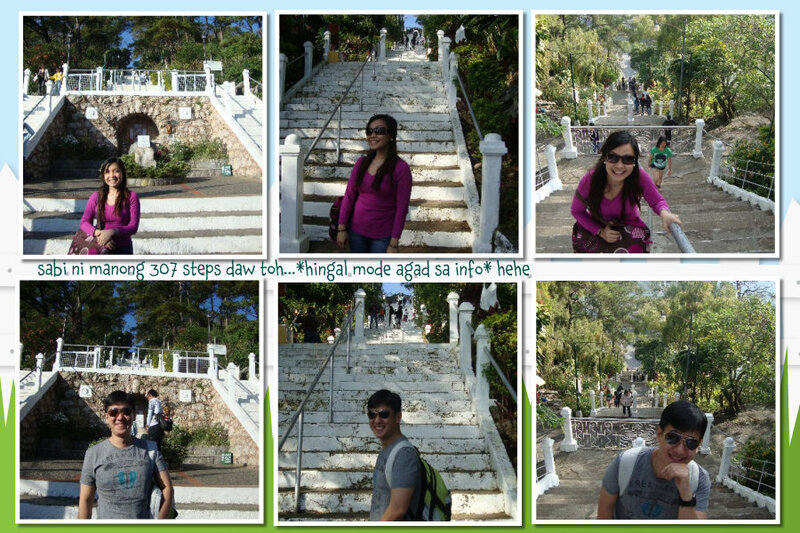 coz the step is much higher! Alex needs to assists me in riding it & i need to jump down literally to go down the jeep - ahaha. Well, I thought it would be hard for us to find the strawberry picking area but thanks to the driver and the signs posted on the streets, we we're able to find it. I think its already past 9am when we reached it and we can already feel the hot sun (where is the cold atmosphere here?!). 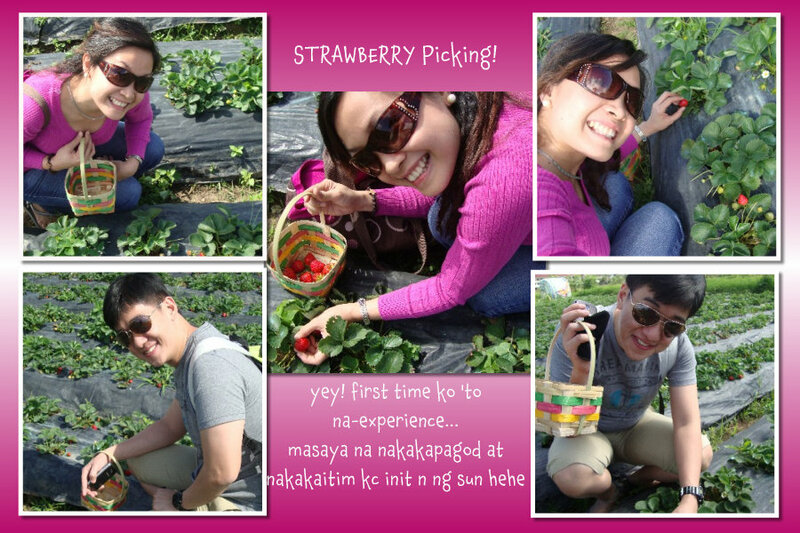 For the strawberry picking, the price is Php250/kilo and they will first teach you how to do the right picking. We found a McDonalds store near and decided to have an early lunch. 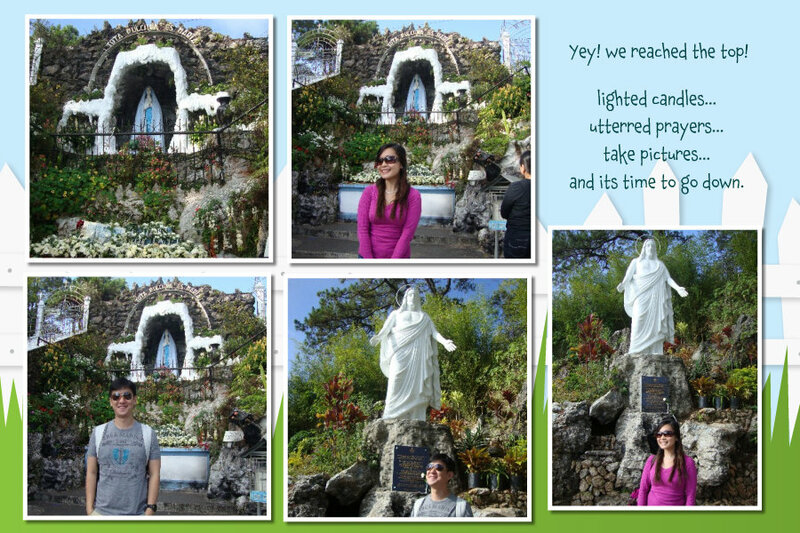 Afterwhich,we went to Bell Church which is located near the boundary of Baguio and La Trinidad. 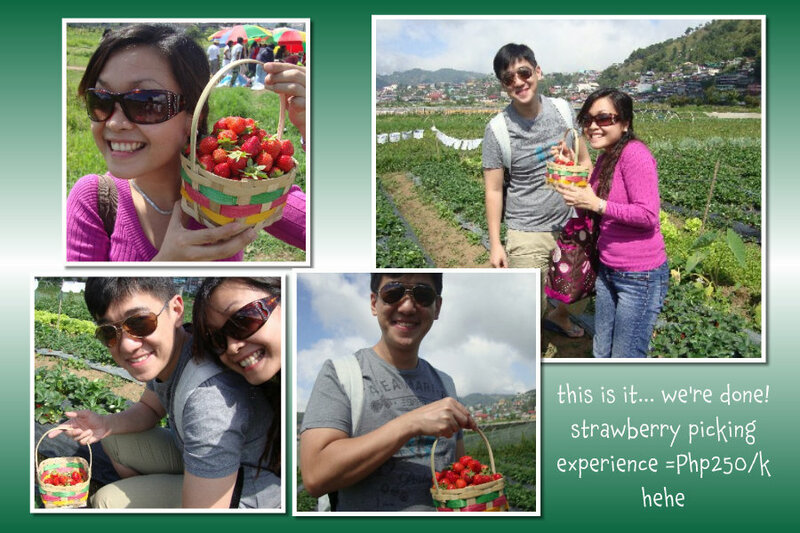 Then we went to Mines View to take some pictures and buy some "pasalubong" (goodies or souvenirs to give to loved ones or friends). And from there, walked our way to Good Shephered to buy my UBE HALAYA!!! Yum! We then went to the Pink Sisters Convent to utter some prayers (well, ofcourse to take some pics as well hehe. 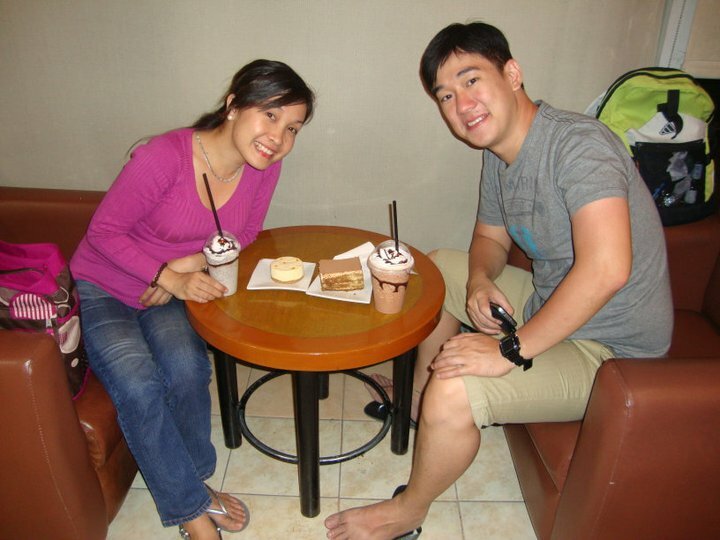 And since we're already hungry and need to have some rest, we decided to try a resto in Session Rd - Pizza Volante. The place is not that big, the price is ok and the food is - great! We ordered pasta, pizza, coffee for him and avocado shakes for me. Pesto Pasta with Shrimp - a Must Try pasta! After some rest, we went to Victory liner terminal to await our 1120pm bus back to Manila (03April2011).Since its a regular aircon bus, the fare is Php445 and the travel time is 5-6hours. It has been one wonderful, a little tiring (ok, its really tiring) but fun-filled Sunday!